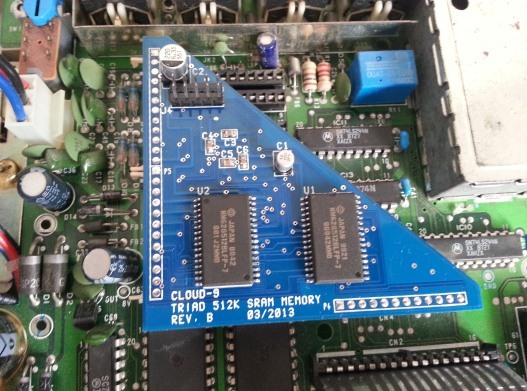 Super Cool, Fast and Low-Power Memory For Your CoCo 3. 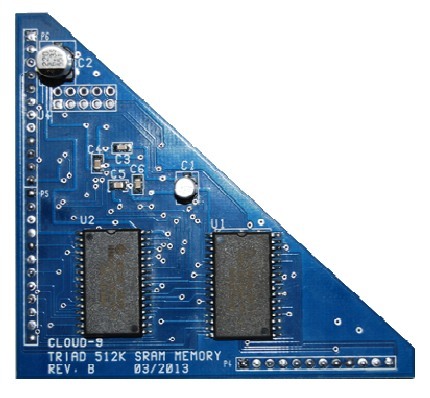 The TRIAD 512K SRAM Upgrade is Cloud-9's revolutionary memory board for the CoCo 3! It runs 90% cooler than other 512K upgrades, uses 1/20th of the power and it's also half the size! The CoCo's over taxed power supply GREATLY appreciates the power reduction after working hard for 20+ years. Just when you thought your CoCo 3 couldn't get any COOLER, it now REALLY is!!! Get your TRIAD today!. Find more information or leave feedback in the Wiki.